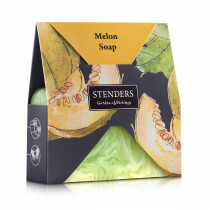 STENDERS Bath and Body Care Cosmetics :: Melon-papaya jelly soap "Oh my jello!" Melon-papaya jelly soap "Oh my jello!" 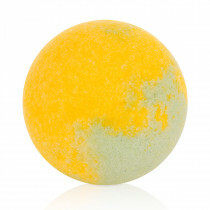 This sun-yellow melon-papaya shower jelly soap will give you loads of joy and will leave you with an unforgettable impression. Thanks to the sea algae extract, the jelly soap will gently slide across your skin and make you dream of sun-drenched summer days. 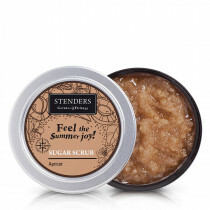 The added aloe will pleasantly moisturise, and the scent of melon and papaya juice will make you feel alluring and summery. This vegetable glycerine-based product is enriched with juices of orange, carrot, pineapple, peach, kiwi, lime, fig, and mango, which contain valuable vitamins, as well as extracts of banana, cactus, and lychee fruit which will give you a real energy boost. Slide the jelly soap across your body until your skin is enveloped in pleasant foam, then place the soap back into the package and rinse yourself with warm water. 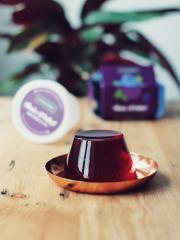 • If you want an especially cooling effect, place the jelly soap in the fridge or freezer before use. Such a wash will cheer you up for 100%. • The jelly soap can be divided into smaller pieces. 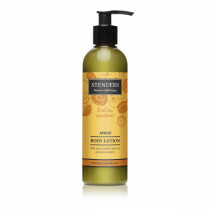 Take the exact amount you need and have a shower of your life! • After lathering up with the jelly soap, you can use a shower sponge.